We have the special cable and software for android tablets! Scalextric WOS, the most technologically advanced Scalextric gaming system, launches its new app for mobile devices with multiple functionalities that increase the sense of reality of the gaming experience and give gamers a range of customizations among which are, Among other options, a circuit configurator, three modes of competition, a catalog of the most current cars and career statistics with all the telemetry. The application can be downloaded for free and will be available from December 5 for iOS and Android devices. Once installed, your smartphone or tablet connects to the Power Base of the WOS circuit using an audio cable to start customizing the competition. The program allows the user to create profiles of pilots and equipment, as well as to configure the length of the races, the capacity of the tank, the number of participants and the modality of the championship. The application collects detailed statistics for each rider and saves them in the profile to check the evolution of each competitor in terms of times, rankings and records. It is also possible to design circuits using the plot editor, so the statistics also take into account what kind of track the results have been obtained. The catalog of cars of the last three seasons allows to choose between the most current models of Scalextric and to compare the performance of each car on the track. The animations and repetitions add spectacularity to round out the WOS gaming experience. 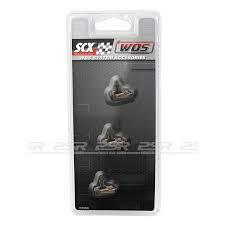 Scalextric WOS is the most advanced gaming system in Scalextric. It allows to count up to six cars in track simultaneously, to graduate of the acceleration, the braking and the tank of fuel, to change of track to look for the best route and to make overtaking. It has Ghost Car and Pace Car controlled by the system, petrol refueling in the pit lane and includes control of lights of the cars and real sound from the wireless controls. Quick race without creating a championship. 3 modes of competition: Championship, Cup and Resistance. Pilot configuration (long name, alias, preferred car, photo). Configuration of equipment in the resistance mode. Selection of cars available in the last 3 seasons. Number of laps, tank size and number of cars on track. Last lap time, fast lap, total stroke time, race position, fuel level, number of pit pit stops, braking level and acceleration level. Complete and detailed statistics by pilot. Cumulative history of the statistics of each driver in all the races in which he has participated. Circuit Configurator: from all types of available tracks the user can create and define as many circuits as he wants, as the circuit configurator helps him complete and close the sections. 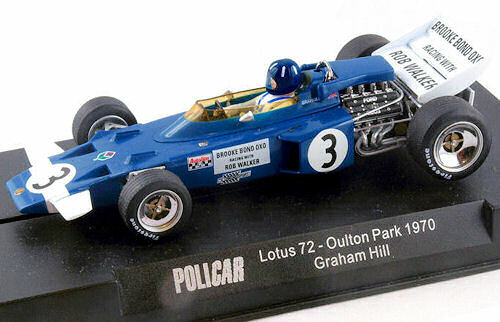 Chips of all 1:32 cars marketed in the last 3 years. Images of each car in different views and model description. Any driver already configured in the app can define as favorites the cars he wants to choose with which he will compete. Repetition of the best moments. App now available for lap counting on iphone or tablet. The most advanced SCX gaming system with up to six cars competing on the track simultaneously using wireless hand controllers, other features include lane changes and overtaking, compete against a ghost car and have a safety car on the circuit, refuel in the pit lane and many more exciting features.